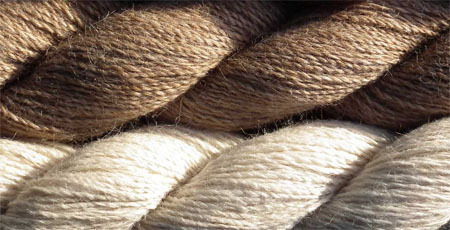 Spinning is a major part of the textile industry and it is part of the textile process where fibres are converted into yarn. 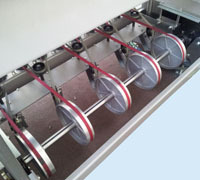 Ring spinning is the most widely used spinning method. Fibres in the form of sliver or drafted roving are twisted together to form yarn by a tiny traveller rotating in a ring around a collection package on a spindle which is driven at a speed greater than that of the traveller. Many of these spinning heads are mounted together on a spinning frame. 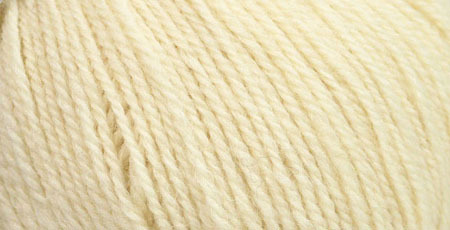 Plying is a process used to create a strong, balanced yarn. 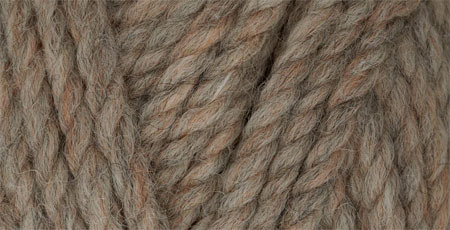 It is done by taking two or more strands of yarn that each have a twist to them and putting them together. The strands are twisted together, in the direction opposite that in which they were spun. 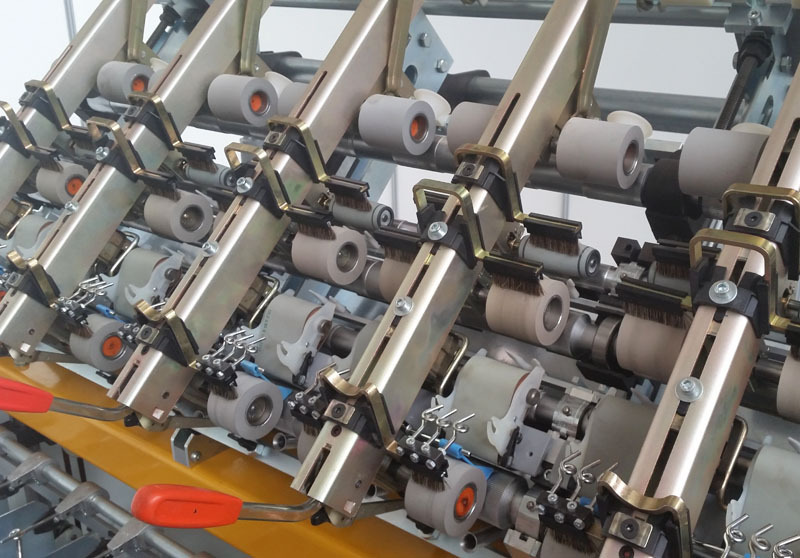 By partnering with one of the leading Italian manufacturers of ring spinning frames Ramella is able to offer a compact version of semi-worsted spinning frame with 10 or 20 spindles. 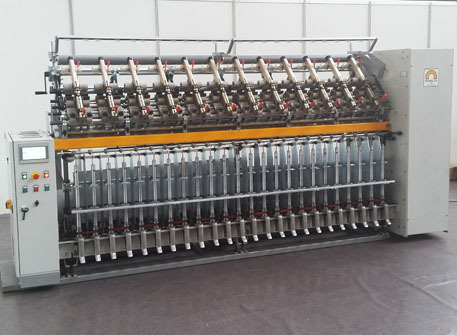 The spinning frame is characterized by a duble drafting unit that allows a perfect control of the sliver and the maximum flexibility with different types of fibers. 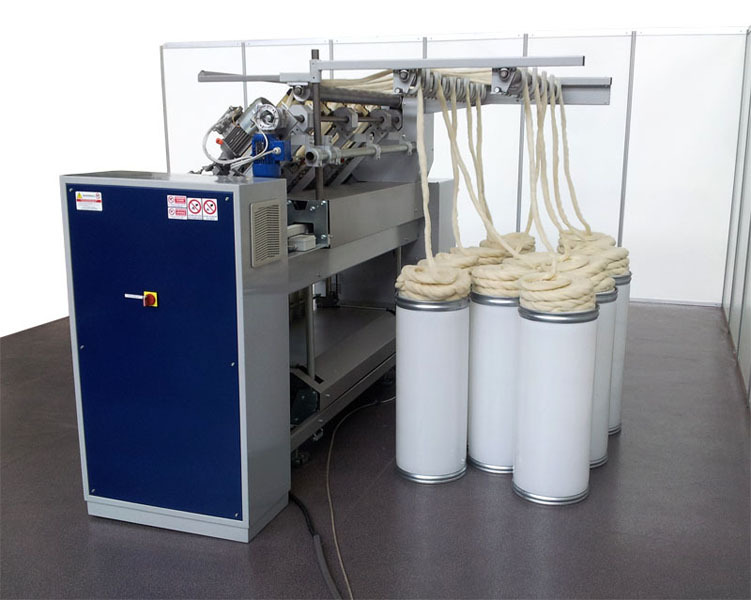 The compact design is ideal for laboratories and minimills, the electronic control is suitable for those who must often change the processed fibers and the type of yarn to get. The experience, attention to detail and quality of construction allow us to supply the state of the art of spinning in economic and easy-to-use form. 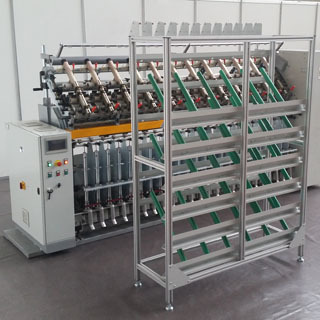 One of the main features of this drawing frame is the double drafting unit that allows a perfect control of the fibers and a wide range of types of yarn that can be produced. 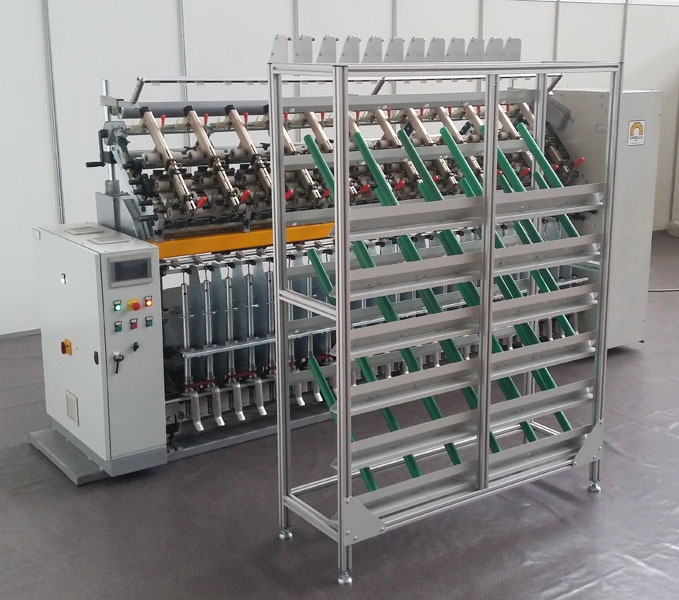 With the double drafting unit it is possible to obtain yarn with different size (from bulky to fine). Both the drafting areas have a fiber control system: the upper unit with "barrel" roller control, the bottom unit with apron cradle. 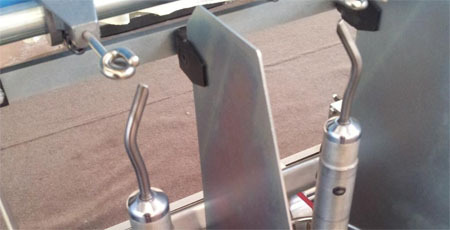 The draft arm is mechanically connected to the structure and can be released quickly and easily. The pressure of the rollers is adjustable. 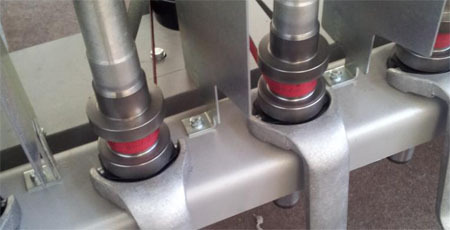 Lower rollers are chemically treated and their surface is characterized by a helical knurl to release evenly the fibers. Their shafts are controlled independently by electric motors driven by inverters. 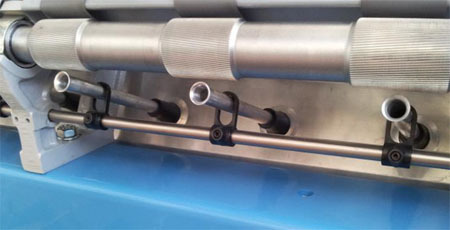 The drafting cylinders are mounted on ball bearings with lubrication to minimize the maintenance. The distance of the upper cylinder is adjustable in order to be able to work fibers of different length without tearing the material. The spindles mounted on our machine allow you to use the tubes which are much more handy, fast and cheap compared to the old bobbins. 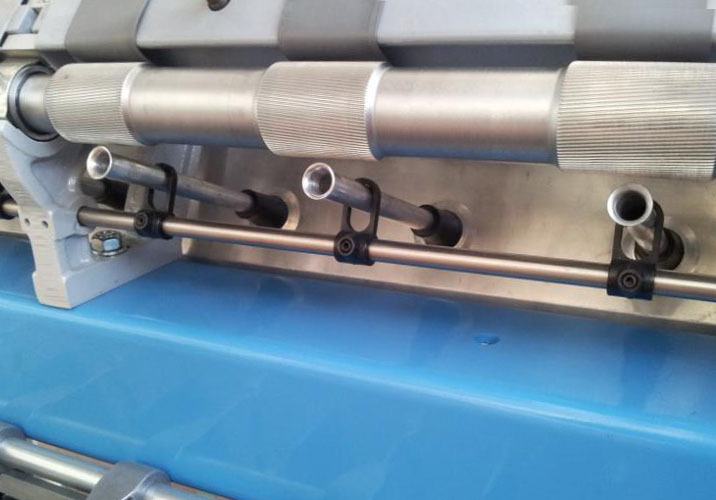 Each individual spindle is balanced in order to reach very high speeds and is fitted with an independent brake which allows to restore a broken yarn without having to stop the whole machine. The brake can be activated directly with your foot to work easily with both hands on the broken yarn. 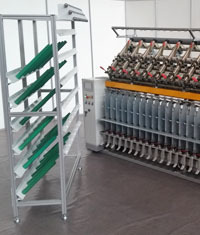 The spindle system with the lower storage allows a quick change of the tubes without having to connect the new yarn. 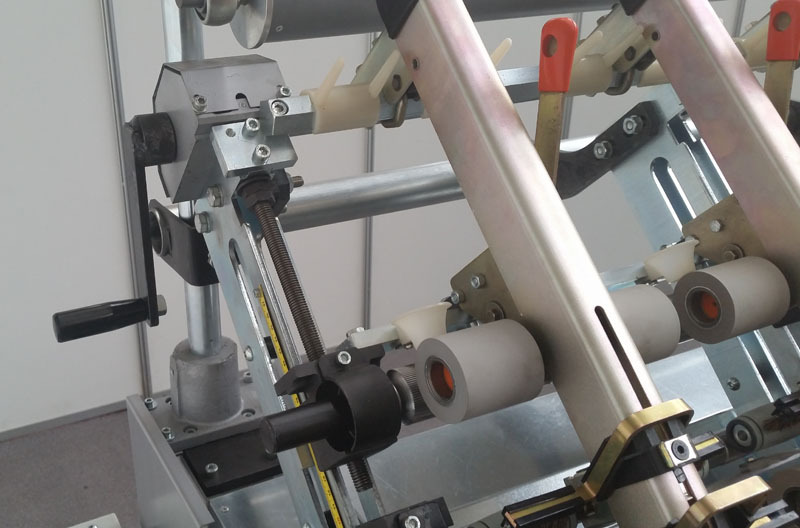 Unlike the old mechanical spinning frames our system is electronically controlled to simplify operations. 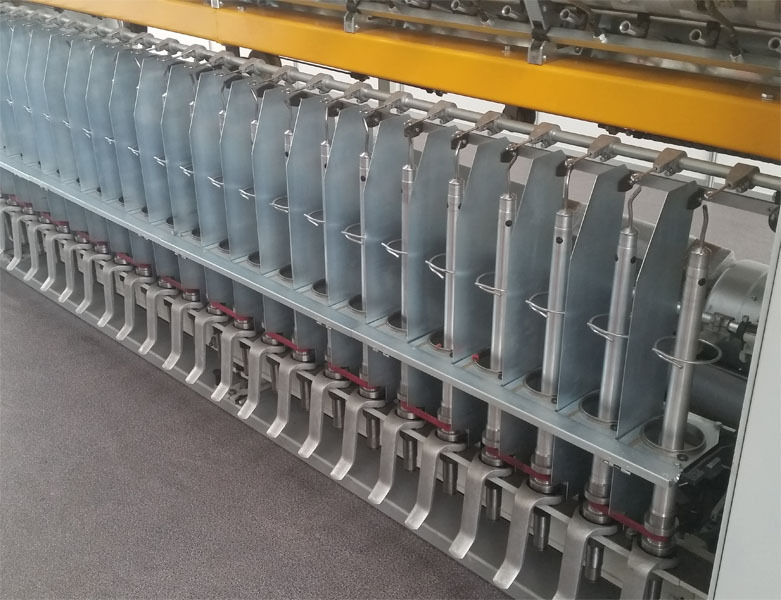 With a touch screen you only need to set some values in order to change the yarn count (thickness) and the twist, all this can be done without having to calculate any speed and without stopping the machine to check the final result. Every single movement (including the operation of the suction system and ring rail motion) is electronically controlled without the operator having to intervene. 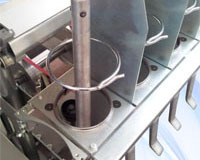 The spinning can proceed in a totally independent way because the system takes care of stopping the machine when the tube is full. The software allows you to save different settings so that they can be loaded later when you have to get the same result. The ring rail is characterized by sintered rings with central lubrication, this system allows travelers to spin at high speed. 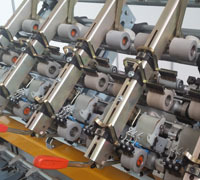 The ring rail is electronically controlled and this allows the perfect positioning of the yarn on tube which avoids breakages in the next steps. 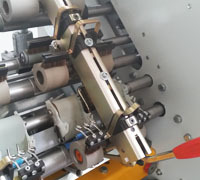 Pneumatic control of the thread guide and the final movement of the tube are more details that simplify operations and reduce the risk of yarn breakage. 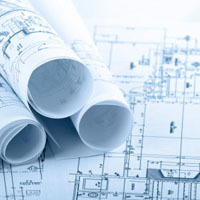 Replacing the travelers is simple and does not require any tool. 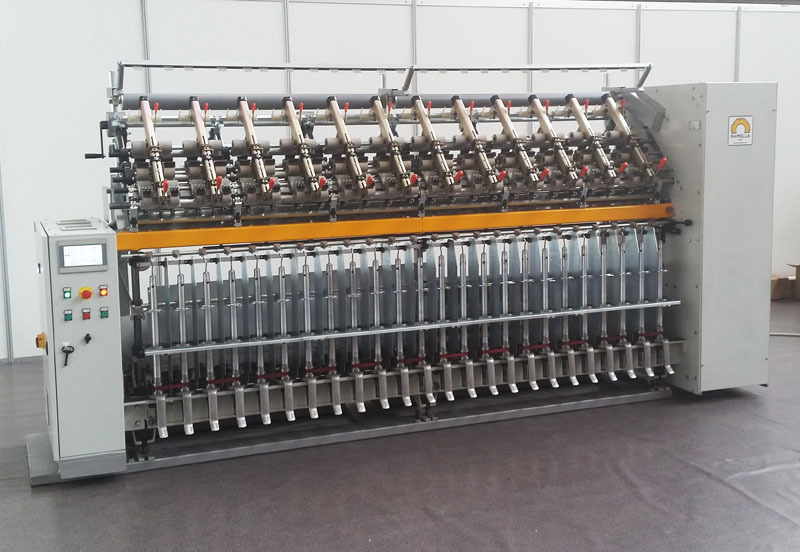 Decades of experience, attention to detail, the specific design for small and medium production make this spinning frame the right machine to achieve maximum quality and productivity. 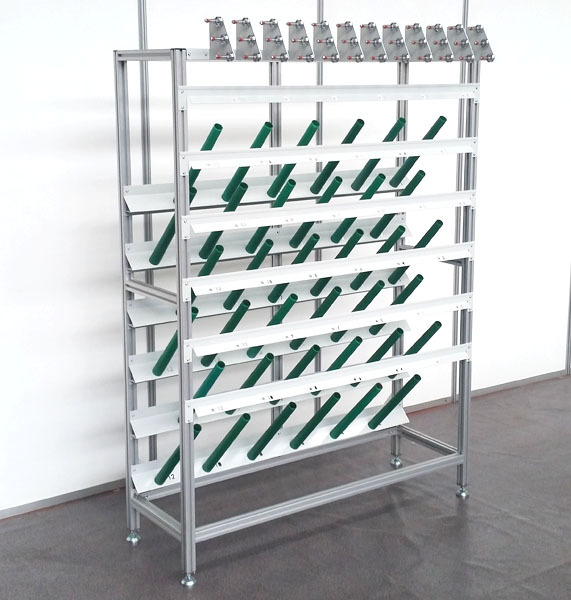 • Double drafting area for maximum control and quality. • Tubes system, more handy and fast compared to the bobbins. • Spin finger to minimize the tension in the yarn and reduce its breakages. 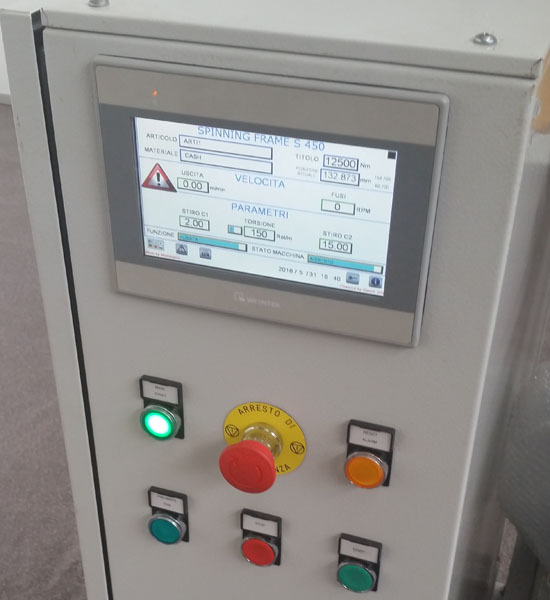 • Electronic control with touch screen to obtain the maximum simplicity of operation. 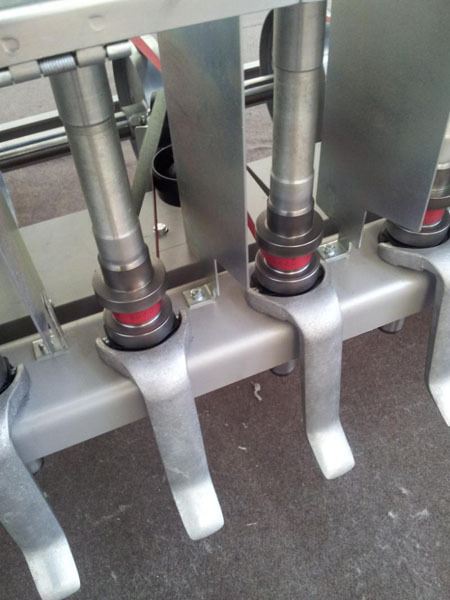 • Multiple drive belts to prevent the loss of torsion in the central spindles. 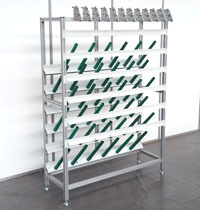 • Compact design ideal for minimills and laboratories. • Electronic control of motors for maximum flexibility. • Low maintenance and spare parts readily available. 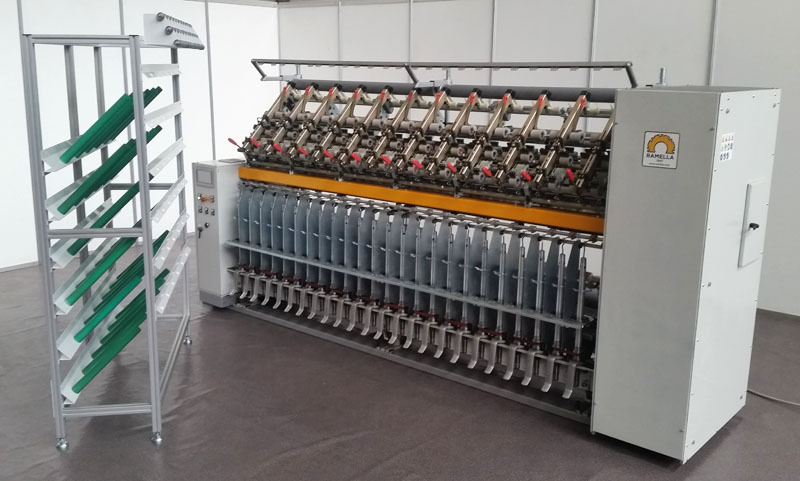 The spinning frame is equipped with a centralized vacuum system that takes out fibers in case of yarn breakage. 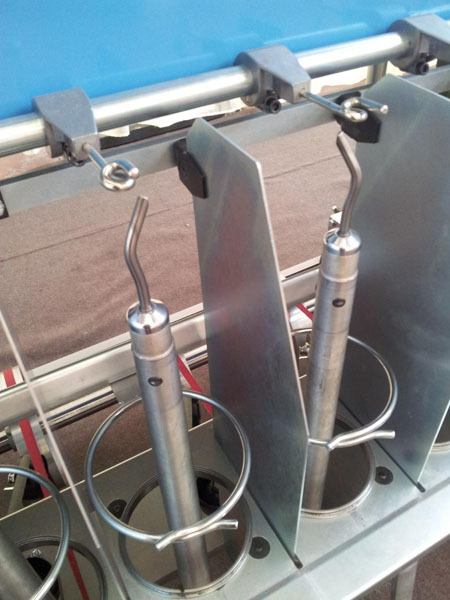 For each yarn there is a vacuum nozzle adjustable for height and depth. 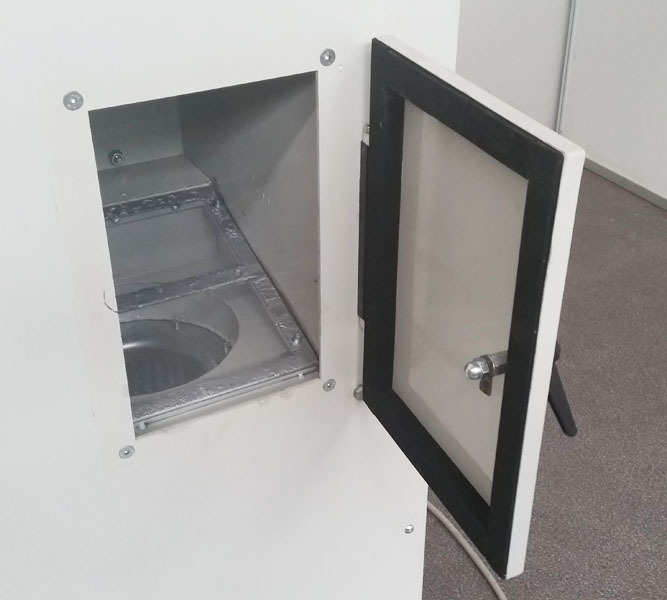 A handy door allows access to the vacuum area and allows quick filter cleaning without having to replace bags or remove the filters themselves. The electric motor which drives the vacuum system is integrated into the spinning frame so as to reduce the noise and the size. Our spinning frame is characterized by a single central shaft connected to an electric motor. Getting the motion from a pulley a single belt drives two spindles. 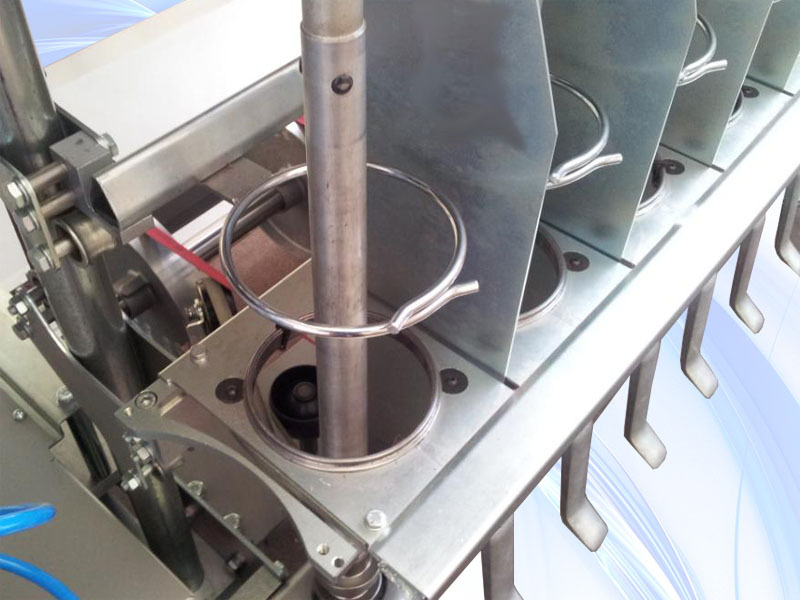 This system allows you to have no torque losses (and consequently a lower quality) because of belt slippage. In older systems a single belt drives all the spindles resulting in lower control of the central zone. 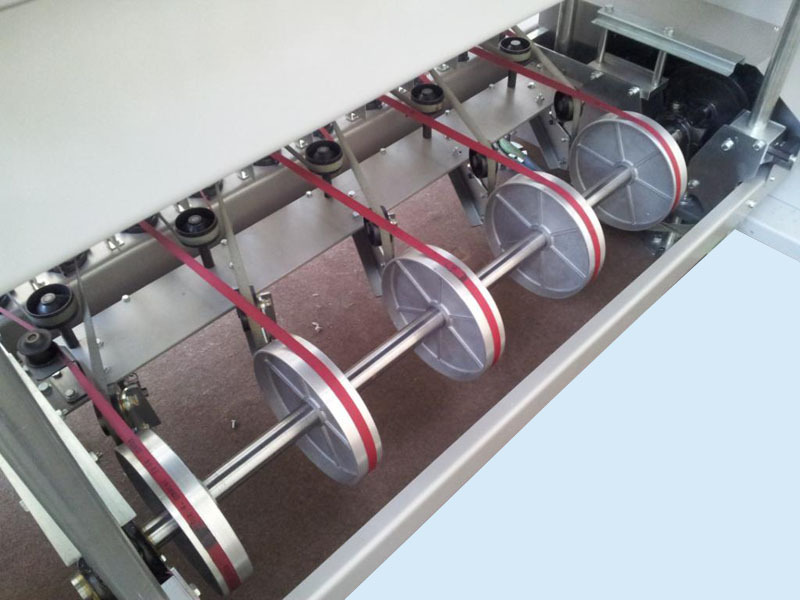 Also in this case the pulleys are balanced, the belts are tensioned independently and the electric motor is electronically controlled. These factors allow you to reach very high speeds to maximize production. 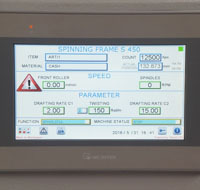 With a movable creel positioned before the machine you can use the spinning frame as plyer. 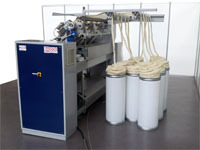 This system allows to combine 2 or more threads in order to obtain a balanced yarn. By means of the electronic control, the direction of rotation and the spindles speed are automatically changed to reduce the setting time. Each thread passes through a spring system which applies the right tension to the yarn in order to avoid imperfections in the final product. 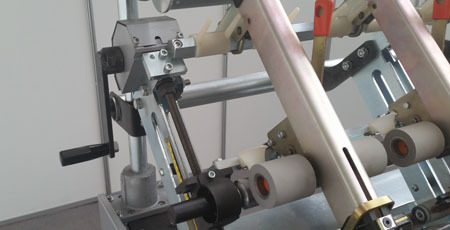 The passage from spinning frame to player is done in a simple way without having to intervene mechanically on the machine. In the rear part of the spinning frame is a driven creel that conveys the sliver up to the spinning zone. 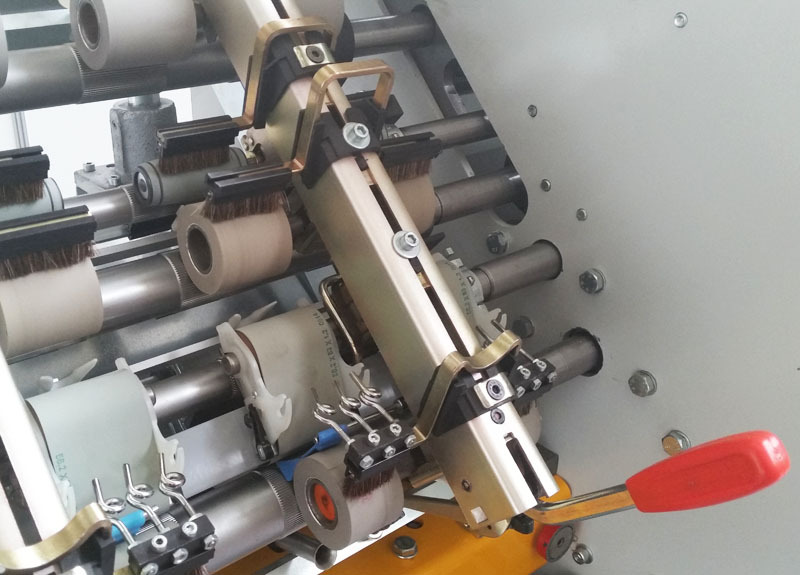 The driven rollers reduce the friction of the fibres and make easier the process of the slivers with low cohesion. 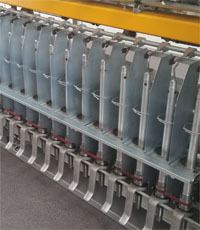 A double row of rollers allows to arrange the cans on 3 rows to minimize the overall dimensions.